Tis the Season with Crafts n' Things! 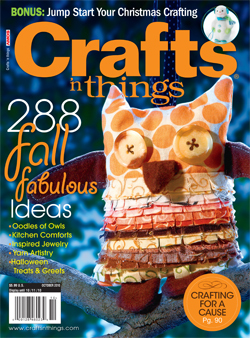 The fall issue of Crafts n' Things is on the newstands now! The cover features the cutest owl and right up by the S is my wee button snowman! 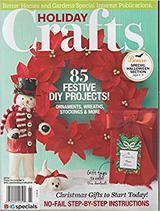 It is a great issue and wonderful magazine filled with all kinds of holiday projects to inspire you to create! The editor is a sweetheart Abby Foster. It has been a pleasure being part of the magazine for the past ten years and now to be part of the official design team! The button even matches my site perfectly! Over those years several of my designs have been featured on the cover and I am so very grateful. Read more about this fall extravaganza issue below! Follow the JOY! Get crafting! 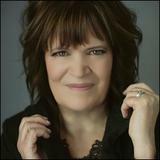 Debra CEO! Glorious autumn hues touch everything from cards to gifts to home d�cor and more in the October issue of Crafts 'n things. You're sure to fall in love with the more than 200 creative do-it-yourself looks and techniques packed into this harvest-season spectacular! Cast your own unique spell over Halloween festivities with charming owls, pumpkins, witches and ghosts. No tricks here, just lots of crafty treats! Speaking of treats, treat a teacher to a handmade card or quick gift, like the Teacher's School Survival Tin. It's sure to bring smiles! Upcycle household odds-and-ends into artsy, affordable wearables and accessories. Learn how to get your favorite designer jewelry looks - for less! Explore the best vintage-inspired paper crafting products with contributing writer Roberta Wax. You can even get a jump-start on your Christmas crafting with more than a dozen fun gifts and decorating ideas! And don't miss "Crafting for a Cause," a new annual feature where Crafts 'n things contributors share inspiring projects and ideas that can help each of us make a difference using our creativity.